Hilary Spurling insists that despite appearances Western publishers have not suddenly become obsessed with Pearl S. Buck. Both the British writer's biography and Anchee Min's fictionalized work about the Nobel prize-winning American author have emerged in print at the same time. Spurling, who wrote her proposal four years ago, says it was actually a struggle to get interest in the project, despite being an acclaimed literary biographer. "My actual publishers turned it down and my agent didn't like it," she says. Spurling, 69, was speaking in her airy book-lined study on the first floor of her house in Islington, north London. However, Burying the Bones (Profile Books) has been almost universally well received by critics and has featured as Book of the Week on national BBC radio in the UK recently. She says she was inspired to write the book because she has been "transfixed" by China all her life, inspired by stories about China in childhood. Buck, the daughter of a missionary, was brought up in China and spoke Chinese before she could speak English. She is best known for her novel, The Good Earth published in 1931, which portrayed life in China to a Western audience perhaps for the first time. It proved an instant bestseller, selling 1 million copies in its first year. It still sells around 1 million copies a year in the United States alone. "The book is the beginning of everything in the 20th century about how Westerners perceived the Chinese. It is the gateway through which China was made accessible and it explained above all that Chinese people were people just like everyone else," she says. Spurling spent six weeks in Nanjing, Jiangsu province, where Buck taught at the university and spent much of her early life, as part of her research in 2007. "I tried to follow in her footsteps but the face of China has changed so much since she was there. My book in a sense attempts to explore China in the first half of the 20th century up to the War of Resistance Against Japanese Aggression when Pearl Buck left," she says. Until recently Buck had been a forgotten figure in much of the West and has been going through a process of rehabilitation in China after being denounced during the "cultural revolution" (1966-76). It was recently written that Spurling always comes up with an "unexploded bomb" in her biographies. In her biography of Paul Scott, author of The Raj Quartet, she uncovered a secret gay past and in her two-volume magnum opus of the French painter Matisse, she revealed someone in personal turmoil at odds with the previously accepted view he was as serene as his paintings. "My unexploded bomb this time is to think again and look again. This is one of the most remarkable Americans of the 20th century," she says. 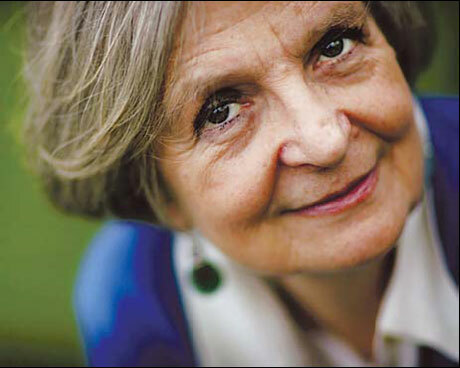 "She currently doesn't figure in any histories of American literature, although she won the Nobel and Pulitzer prizes. She has no place whatsoever in feminist literature, although she was a very powerful campaigner for women's rights." The book is called Burying the Bones because Buck as a child used to bury the bones of girl babies who had been suffocated and left for the dogs. They were often regarded as worthless in feudal China. Spurling says Buck was more than aware of all such undercurrents in the society in which she grew up. "I use the title as more of a metaphor. There is a lovely American phrase about knowing where the bodies are buried. I think Pearl knew where the bodies were buried in a very general sense," she says. 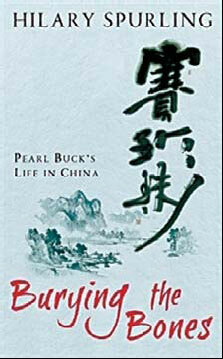 Spurling focuses on Buck's life up to the point where she leaves China. Spurling took a job as a waitress after graduating from Oxford University to establish herself as a writer. She has since won a number of literary prizes and has been made a CBE (Commander of the Order of the British Empire). After two years of research, the Buck biography took her seven months to write. Her next book is a biography of the English novelist Anthony Powell, whom Spurling actually knew well as a young woman. She didn't know Buck, who died of lung cancer in 1973, but manages, often brilliantly, to vividly portray her fractured and difficult life. Spurling believes Buck changed the way many Westerners saw China and foresaw as early as 1925 that China would emerge once more as a superpower.